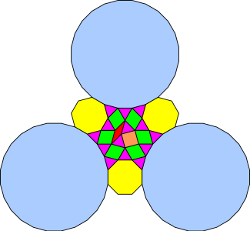 The Dancer tiling is constructed in part from an irregular polygon that occurs twice (once rotated by 180°) in the transla-tional unit. 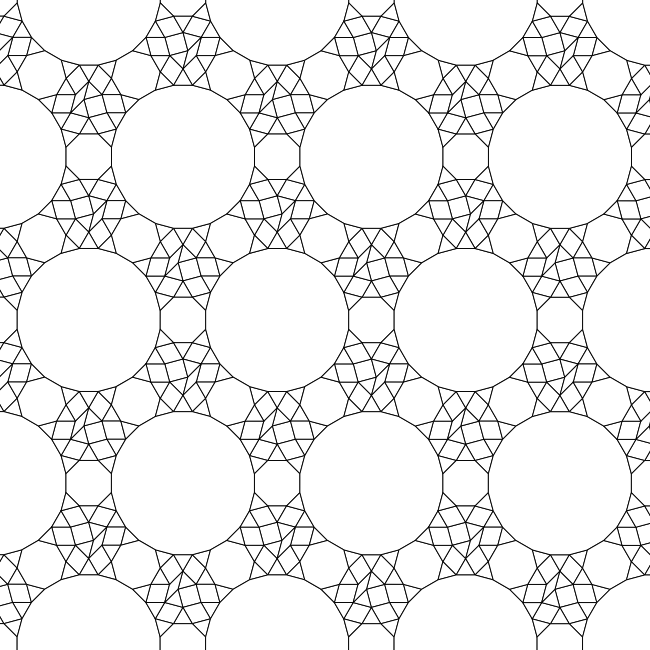 It is remarkably similar to the shield jewel in the 3.7.42 Shield tiling. 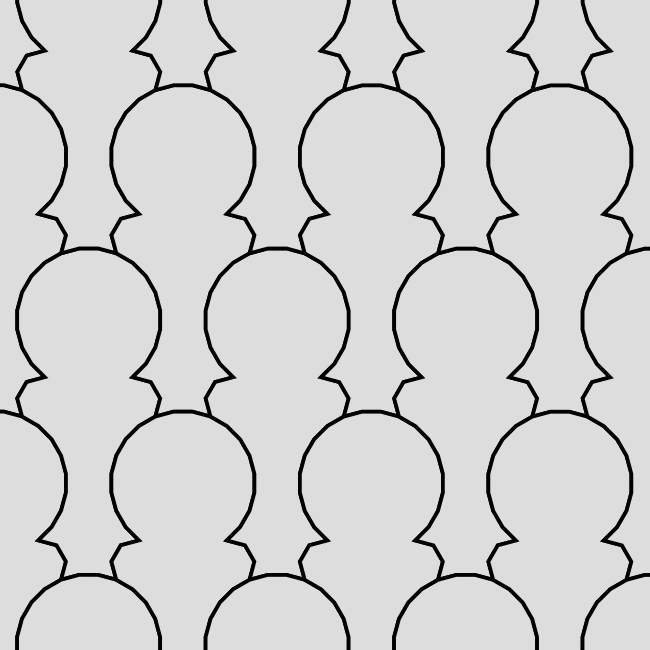 This tiling, sent to me by Robert Fathauer, has a translational unit that is much thinner (and shorter) than its sister 3.8.24 Milkmaid tiling, so I've called it the Dancer tiling. 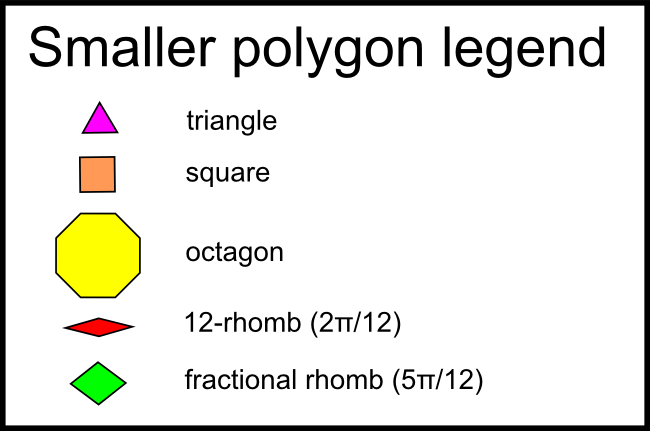 It adds the square and the fractional 5π/12 rhomb to the prototile set.